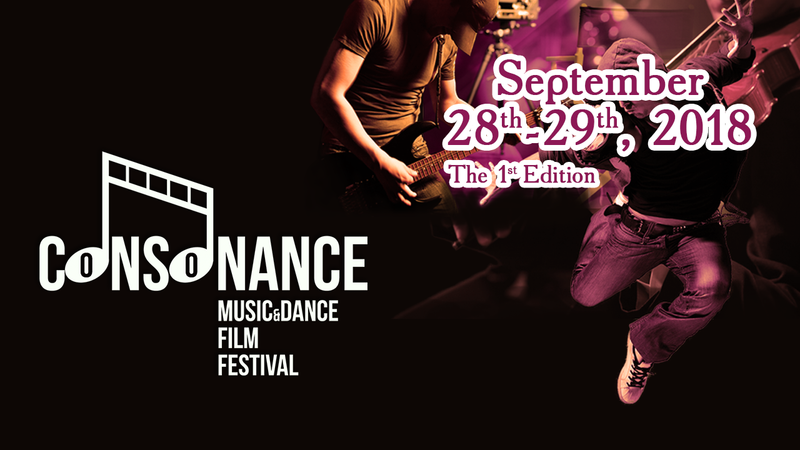 The AWARD, LAURELS, and the CERTIFICATE of the Consonance Music&Dance Film Festival, the 1st Edition! 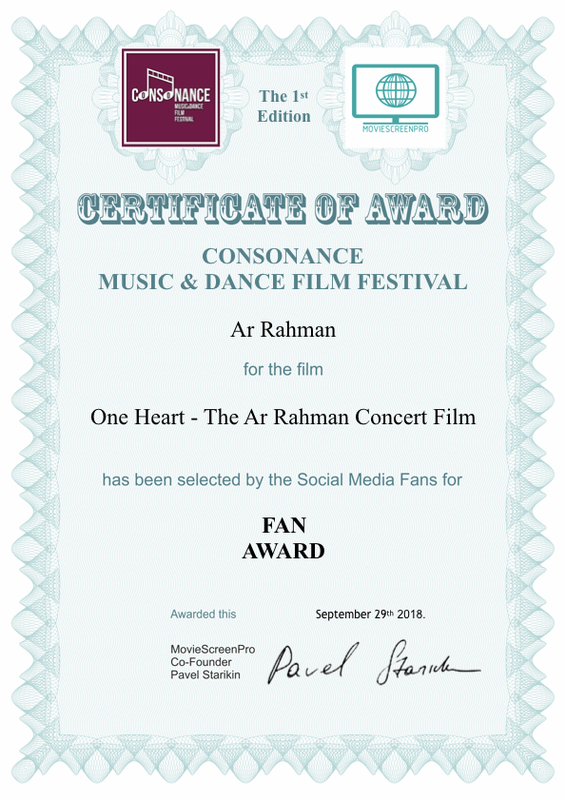 We congratulate you on the fact that your film ONE HEART -THE AR RAHMAN CONCERT FILM won the FAN AWARD! Please find attached the award, laurels, and the certificate. You can easily print out the award sign, frame and hang on your wall for a new look! (We’d highly appreciate you emailing us the interior photo of the framed award). We wish you good luck and great success!